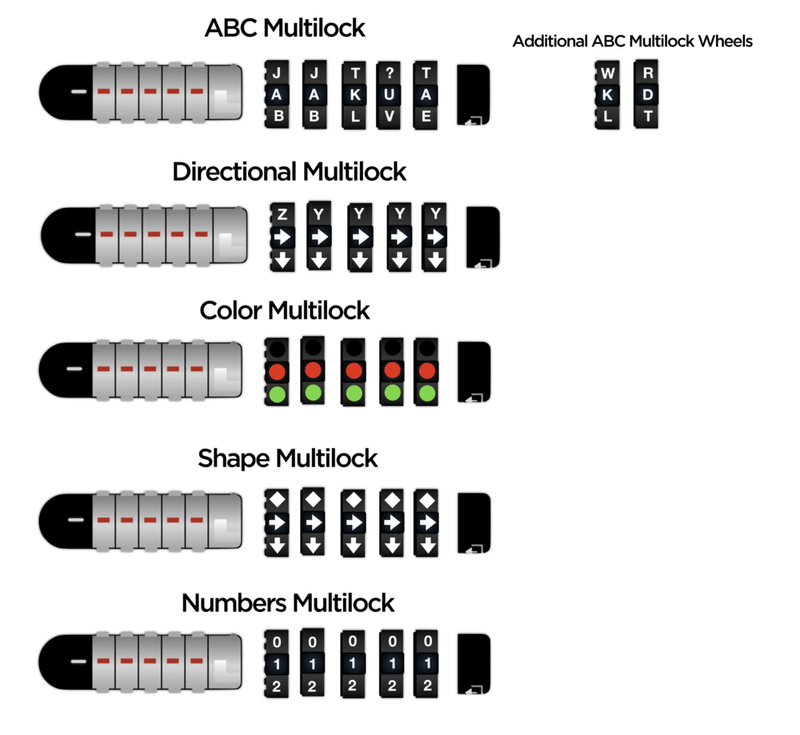 The Multilock is a new type of lock developed by Breakout EDU that allows users to create more flexible combinations with a lock that uses removable and interchangeable wheels. 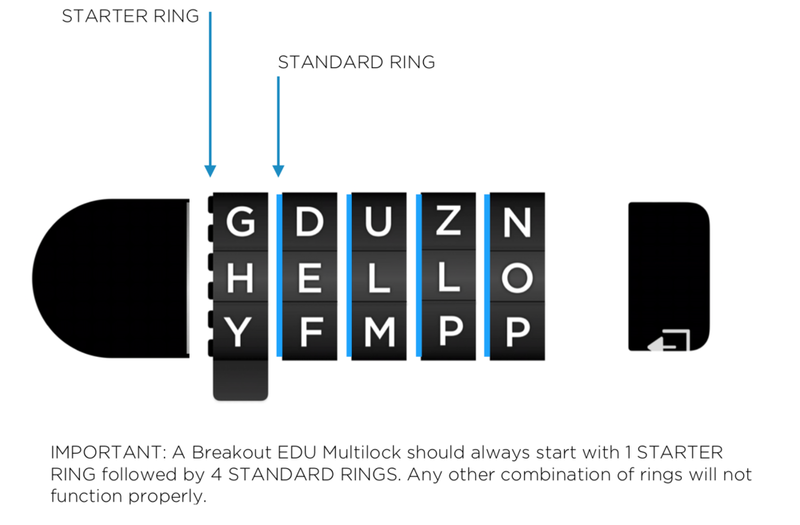 Each Breakout EDU kit ships with an Alphabet Multilock and a Directional Multilock. These locks work with all existing Breakout EDU games and will allow even more puzzle combinations for future games. IMPORTANT NOTE - The first wheel is different than the other wheels (see image above). The first wheel will have spokes that stick out around the left side of it. That wheel must be placed onto the open lock first. BE SURE TO USE A SINGLE STARTER WHEEL IN THE FIRST SLOT. The image below shows the direction that the locks need to be placed on the lock. The middle row is the part of the wheel with the protuberance. Please ensure that you place the Starter Ring on first, followed by four Standard Rings.